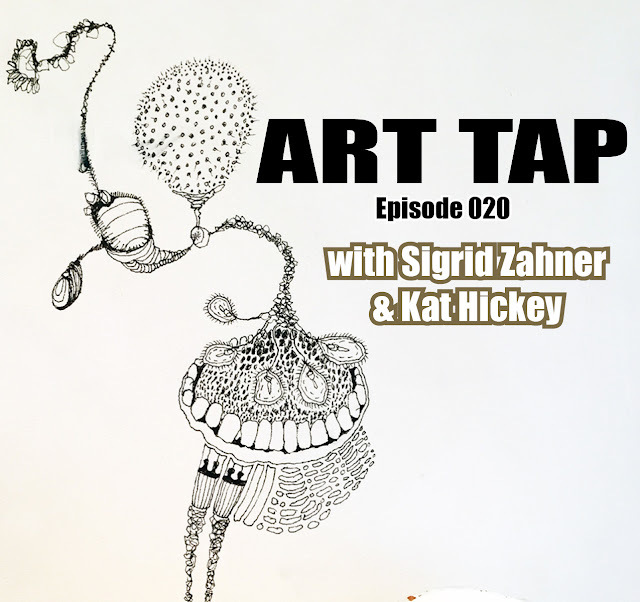 Episode 020 features an interview with Sigrid Zahner, Associate Professor of Art and Design at Purdue University and Kathleen Hickey, Visiting Instructor of Dance at Purdue University. Siggy is a ceramic artist whose work is in numerous collections in the US, and she has shown nationally, including at NCECA (the National Council on Education for the Ceramic Arts) and participated in a residency at the prestigious Guldagergaard International Ceramic Research Center in Denmark. Kat is a choreographer, dancer and teacher currently based in West Lafayette, Indiana. She has performed in Chicago, Milwaukee, Minneapolis, New York, Princeton, and the Indianapolis region, as well as the Kampa Museum, in Prague in the Czech Republic. What brings these two to the table together is a very interesting feminist performance collaboration that took place in October at Princeton University, combining a worn sculptural “dress” created by Siggy and a performance choreographed and executed by Kat. The conversation returns repeatedly to the quote about doing “bad work” above, as an encouragement to learning and being unafraid to make mistakes, in order to continue learning from them.